The Antique Fair of Arezzo has been taking place once a month, since 1968, in the streets and squares of the medieval part of the city. There are as many as 500 stalls from all over Italy, and both serious and amateur antique collectors enjoy looking for and finding rare and unusual pieces. 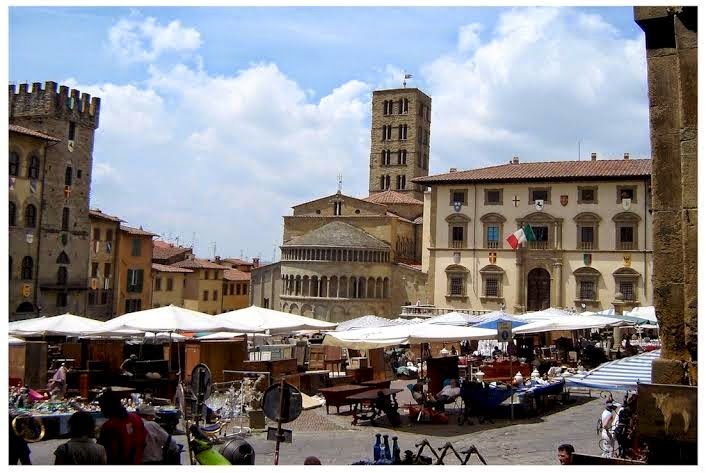 The presence of the Antiques Fair in Arezzo has meant that, as a consequence, several antique shops have been opened in the old town, giving a picturesque tone to the city.